As you may know, Milton Keynes has been heralded the UK’s newest and most dynamic city due to its growing population of more than 227,800 people and 10,000 businesses. 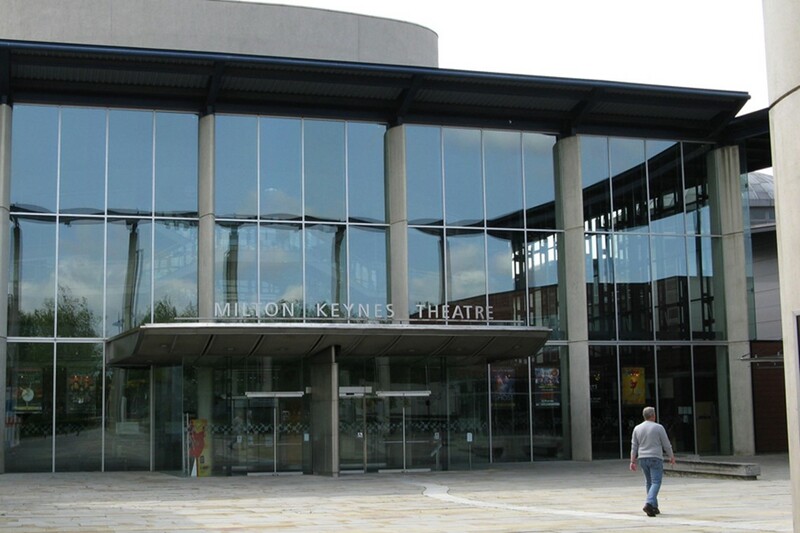 And at the heart of this is Milton Keynes Theatre - a theatre and entertainment centre of excellence in the region, managed by the Ambassador Theatre Group. Leave the M1 at Junction 14, head for Milton Keynes and at the next roundabout (Northfield), go straight on to Childs Way H6. Also carry on straight across the Fox Milne, Woolstone and South Overgate Roundabouts. Turn right into Enmore Gate at the South Enmore Roundabout and left into Avebury Boulevard at the Enmore Roundabout. Turn right at the Bankfield Roundabout and the Theatre car park is immediately on your left. Leave the A5 at the A509 Portway Junction following the signs for Central Milton Keynes. Go straight ahead on the A509/H5 Portway at the North Grafton, North Witan, North Saxon, North Secklow and Belvedere Roundabouts. Turn right into Skeldon Gate at the North Skeldon Roundabout and right into Silbury Boulevard at the Skeldon Roundabout. Turn left into Marlborough Gate at the Campbell Park Roundabout. The Theatre is on your right hand side after the Midsummer Boulevard Junction. There is a coach park at the end of the centre:mk and immediately opposite the Theatre on Marlborough Gate. Call 01908 547609 for special assistance with party booking. From the Central Rail Station to bus stops on Midsummer Boulevard. For full local timetable information call TraveLine on 0870 608 2608 (7am-8pm, 8am-8pm weekends and Bank Holidays). Milton Keynes Central Station is on the London Euston to Birmingham main line. For full timetable information call National Rail Enquiries on 08457 484950 (24 hrs) or visit Network Rail. Buses will take you from the Central Rail Station, to bus stops on Midsummer Boulevard outside the Theatre. There is also a taxi rank outside the station. Journey time 5 mins. Situated within Milton Keynes Theatre, Marlborough Gate Bistro is a brand new dining establishment serving a delicious new menu in a comfortable and stylish setting. Grab a delightful cup of illy coffee, choose something from the express menu or book a table and enjoy three delicious courses knowing your theatre seat is just moments away! Booking recommended. Enjoy the sumptuous surroundings of the new Piano Bar, open from 6pm where you can enjoy an array of delights including; live piano music, a selection of premium wines, barista coffee, and a delicious food menu served from 6pm prior to evening performances.